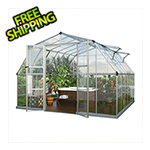 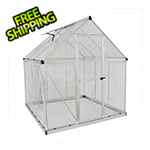 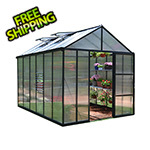 The Mythos 6' x 4' greenhouse features a rust-resistant, green powder-coated aluminum frame and heavy-duty galvanized steel base that is designed to stand the test of time. 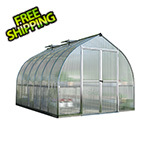 Your plants will love the diffused light from the clear, twin-wall polycarbonate panels and have the added benefit of twice the heat retention of single-layer panels. 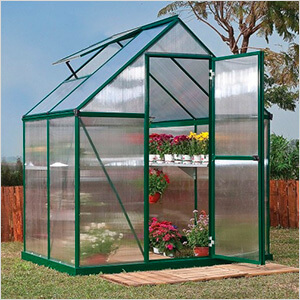 Keep your plants happy with the fresh rainwater that you collect from the gutters.